ince the 116th Congress was sworn in, conservatives have been having a high time picking apart the inane and uninformed utterances of New York Rep. Alexandria Ocasio-Cortez, and it’s no wonder. She has zero political acumen, has no understanding of government and no historical knowledge from which to shape well thought out positions. So exactly how did Ocasio-Cortez end up being the mouth piece of a rebel group of freshmen representatives? It starts with a very powerful trio of men who have set their sights on a new type of Alinsky takeover. Rather than infiltrating positions of power from the inside, they aim to tear down our American system of government by recruiting agitators from the outside—no experience required. The only prerequisite is a passion for liberal causes and a charismatic presence. And it isn’t just conservatives that need to be concerned with this latest tactic, the Democratic Party and all Americans should be alarmed. As the world has learned from the Russian collusion hoax, when rogue players are allowed to actively seek to destroy an elected official, it tears down the very foundation and integrity of our institutions and systems of government. 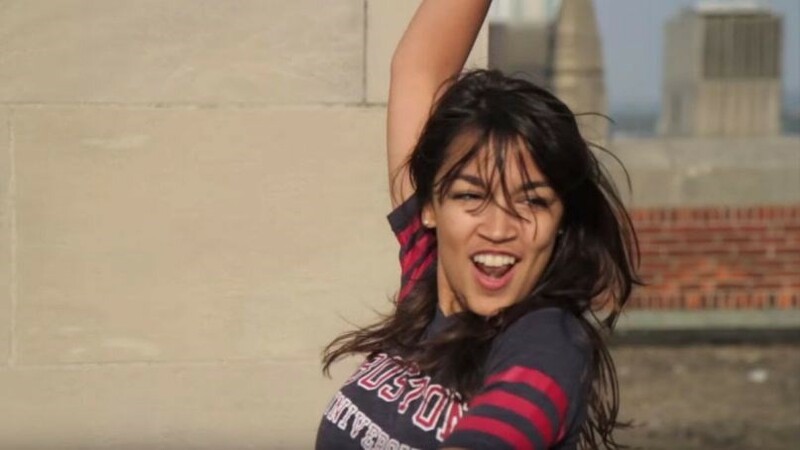 The words socialist and progressive are euphemisms for communism, so rather than just continue to make sport of Ocasio-Cortez, which is admittedly fun, we need to peel back the onion and see just who is behind this fresh crop of outsiders infiltrating the nation’s Capitol. The men behind the curtain in Ocasio-Cortez’s Oz are Cenk Uygur, of the Young Turks, Saikat Chakrabarti, Ocasio-Cortez’s Chief of Staff, and Zack Exley, a board member of the Charlotte-based PAC Brand New Congress. Although this concept isn’t new, politicians are often elected by PAC dollars, what is so stealth about this latest tactic is that these are not politicians in search of dollars in order to run an election campaign, but rather actors who are recruited and paid to carry out the PAC’s agenda and agitate the balance of power in Congress. For many of us, this doesn’t sound like such a bad thing, until you drill down on what their vision is for the United States, which is ultimately to take over and control Congress, ushering in a hard-line system of Soviet communism. This isn’t speculation. The group’s founders and board members are not shy about what they hope to achieve. So who is Saikat Chakrabarti? Before becoming Ocasio-Cortez’s Chief of Staff, Chakrabarti was the Founder and Executive Director of Justice Democrats, a political action committee that he later married with another PAC he founded, Brand New Congress. Chakrabarti is a Fort Worth native and millennial who, after a short stint working in hedge funds, moved to Silicon Valley, where he co-founded the tech company Mockingbird and Stripe, a payment processing company, before becoming the Director of Organization Technology for Bernie Sanders campaign for president in 2016. Zack Exley, a board member of Brand New Congress, also worked on the Bernie Sanders 2016 presidential campaign. Exley is a saavy Alinsky acolyte with a long history of being involved with the “progressive” movement. He was the Director of Online Organizing for the Kerry-Edwards 2004 campaign and an organizing director at MoveOn.org. He also served as an adviser to the Howard Dean campaign and spent much of the 1990s working as a union organizer. Exley founded the New Organizing Institute and collaborated with the Obama campaign as a consultant and researcher. He was also the online director of the British Labor Party’s 2005 campaign. A former Chief Revenue Officer at the Wikimedia Foundation, he consulted with another globalist group, ThoughtWorks. He is also the co-founder and former president of the New Organizing Institute, a progressive political technology training organization. In 2009, Exley was a fellow with the George Soros group Open Society Institute, where he was writing a series of articles about the evolution of the organizing model used by the Obama campaign and about efforts by community and labor groups that used many of the same principles and practices. Exley is also credited with the branding of Ocasio-Cortez and scripting the campaign video that was produced and launched to the public. Ocasio-Cortez not only didn’t form her own campaign, she didn’t actually run for office. Rather, it was Chakrabarti and Exley who chose her, built her platform and then rolled her out. Exley organized her campaign while tech saavy Chakrabarti shuffled money from one LLC and campaign to another, landing ocasio-Cortez in hot water with the Ethics Committee. The Justice Democrats tactic was to take their chosen puppet and run campaigns against incumbents in primaries. In 2018 alone, they endorsed 79 candidates. Out of these, 12 candidates won, three of which were Ilham Omar, Alexandria Ocasio-Cortez and Rashida Talib. Even Ilham Omar, who was actually endorsed by the Justice Democrats after she ran her primary, said it’s inappropriate for groups to decide on whether or not someone deserves to run a district. It was Uygur’s idea to replace individuals in the Democratic Party with “progressives,” mounting a campaign against an incumbent established Democrat and replacing him or her with his own chosen puppet. Remember, no experience required or wanted. You must know nothing about government and politics and say and do as you are directed. Uygur dreamed of the Justice Democrats launching challenges against incumbents they wanted to replace with their own, and Mr. Reagan’s believes that in order to accomplish his goal, Uygur brought on the brains and talent of Chakrabarti and Exley to accomplish just that. Although Uygur is not formally associated with the duo, Regan believes he is still the philosophical powerhouse behind the pair. As if this isn’t enough to concern us, Hawkins also asserts in his article that there was a power deal made with Nancy Pelosi, where she agreed to 40 percent progressive representation on the five top House committees. All of which begins to make sense when conservatives question how Ocasio-Cortez was given sweet appointments to the powerful Financial Services and House Banking committees. Now we know. It was at Sander’s campaign that Chakrabarti met Alexandra Rojas and Corbin Trent, who appear to be crafting some of the lines that Alexandria Ocasio-Cortez mouths and can be seen in the Justice Democrats video above. Ocasio-Cortez is reportedly not even present when policy positions are discussed. Chakrabarti and Rojas have both admitted to doing their own research to learn how to craft legislation, which admittedly was their Green New Deal that Ocasio-Cortez was tasked with rolling out.